The stability of equilibria of systems of nonlinear ordinary differential equations is studied. Acriterion for the reducibility of a second-order linear systemto a scalar differential equation is given. Both positive definite and semidefinite Lyapunov functions are used to obtain sufficient conditions for the asymptotic stability (global stability) of second-order nonlinear differential equations. It is proved that the Aizerman problem has a positive solution with respect to the roots of the characteristic equation of two-dimensional systems of differential equations. 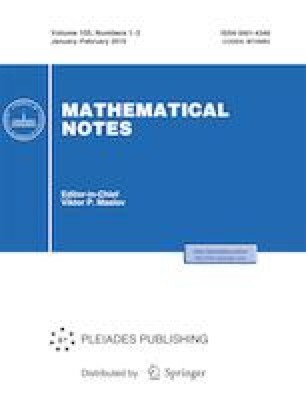 Russian Text © B. S. Kalitine, k]2019, k]published in Matematicheskie Zametki, k]2019, k]Vol. 105, k]No. 2, k]pp. 240–250.